Ferrari World is introducing a New Interactive Ride! Only few weeks after opening the record breaking rollercoaster Flying Aces ( czech about my experience HERE ), the world’s biggest indoor theme park is bringing us a brand new attraction. 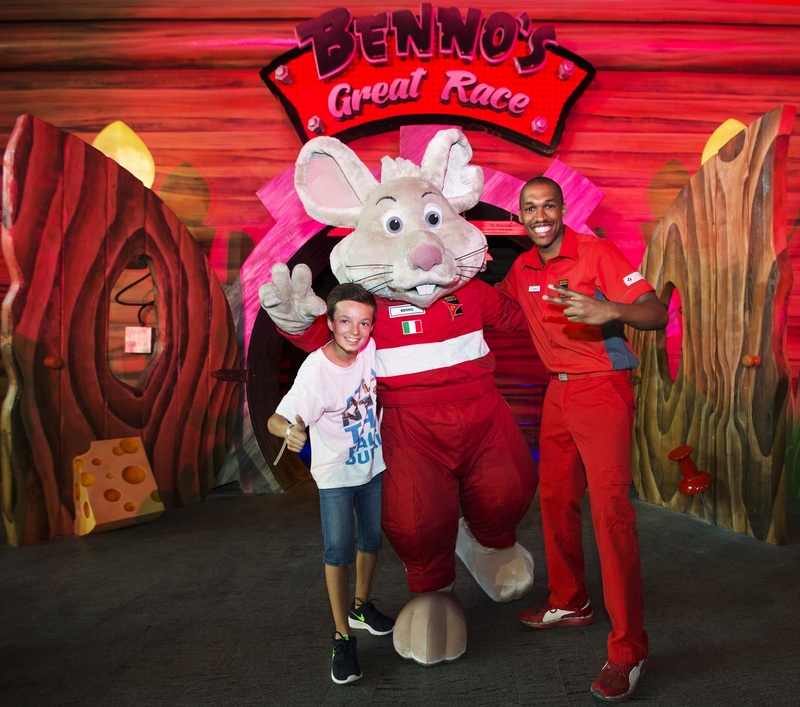 “Benno’s Great Race”, which was inaugurated yesterday, takes everyone on an adventurous journey with Benno the mouse, combining the storytelling of a dark ride with an interactive experience. 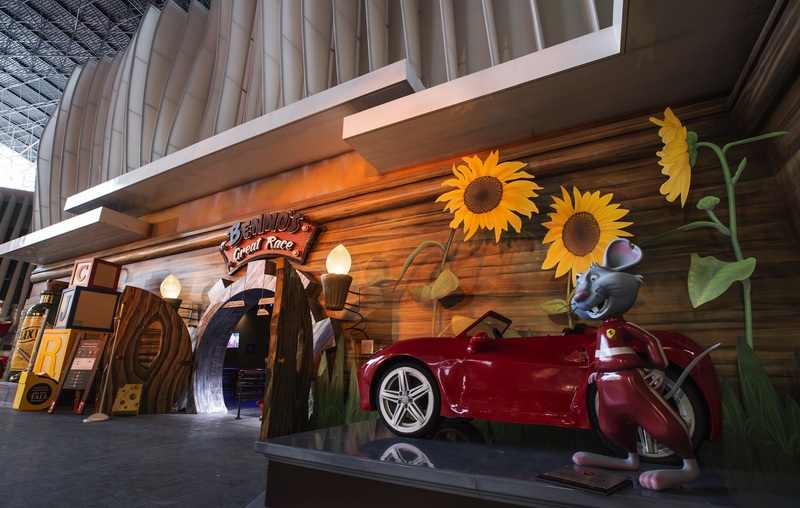 The characters and scenery in the ride are brought to life in style which appeals to guests of all ages. The 458 Italia Ferrari inspired car glides guests through multi-sensory scenes featuring three-dimensional panorama paired with two-dimensional graphics and integrated media that tests their gaming skills. The attraction scores guests depending on performance in solving the various puzzles and games they come across as they help Benno the mouse. 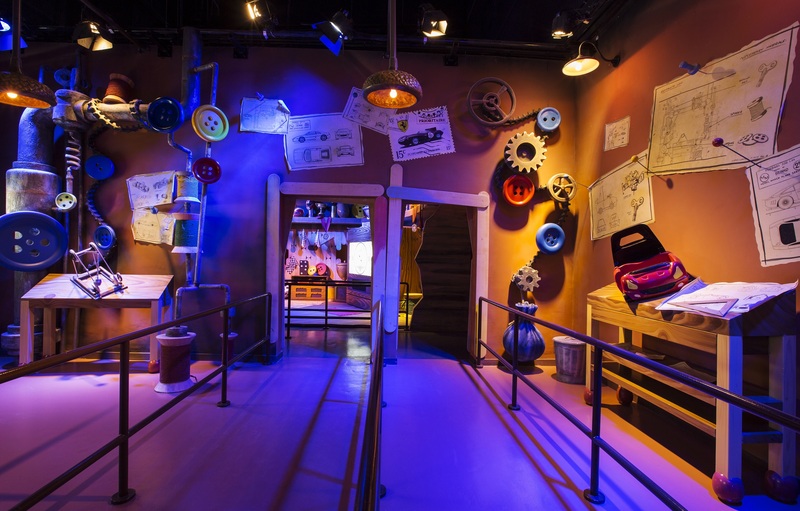 Riders will encounter a number of tasks onboard the ride including; squashing tomatoes with a hammer, freeing “Missy” the dragonfly from a spider’s web, building Benno’s car at his workshop, capturing bees and placing them in a jar, and lighting fireworks. The ride can accommodate up to 5 guests at a time and lasts approximately 3.5 minutes. Guests will have 20 seconds to complete each of the puzzles or games that they come across during the ride. The ride was designed and manufactured by ETF Ride Systems from the Netherlands. The theme park have completed the second phase of the expansion introducing several new attractions and increasing current capacity by 20%, which will go up to 40% by the time the expansion plans are completed with addition of 2 big rides…the SFX coaster and launched Shuttle coaster.